The holiday season is now upon us. As people gather with their families for the holidays - using up the last of their vacation days - millions of small business owners are buckling down for the busy season. And while many small businesses will do well, there are still some who will find it difficult to compete with the larger retail chains and online commerce companies. 73 percent of consumers who shopped on Small Business Saturday did so with friends and family. Nearly half (48 percent) of Small Business Saturday participants went to a small business they never visited before. Since the start of Small Business Saturday in 2010, it is estimated $85 billion was spent at small, independent stores and restaurants on Small Business Saturdays. Small businesses are important to the communities they serve and the influence they make on the economy. With Small Business Saturday tomorrow, it is time to start planning your day. 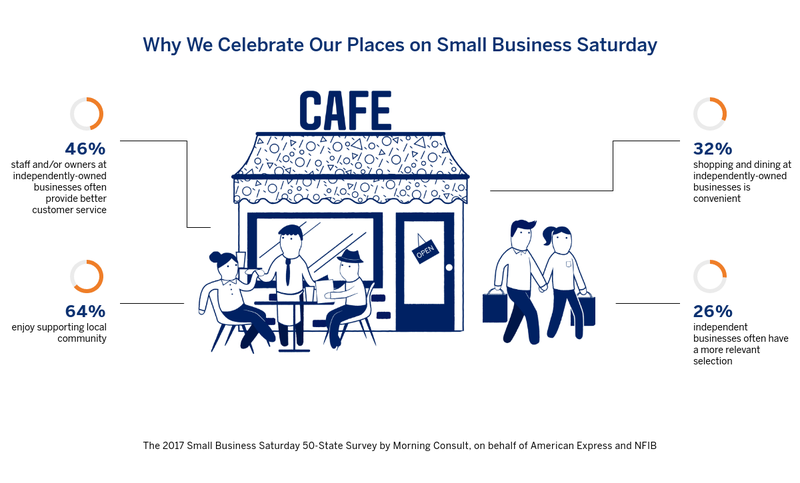 American Express created a map of small businesses participating in the day. People are encouraged to share their Small Business Saturday experience using the hashtag #ShopSmall. Benetrends has funded over 15,000 entrepreneurs who went down the small business path. Acquiring funding to start your business dream is often a deterrent. Luckily with a comprehensive suite of funding options, there might be a funding solution for you. Learn about our funding options by downloading our free funding guide Innovative Funding Strategies For Entrepreneurs today.